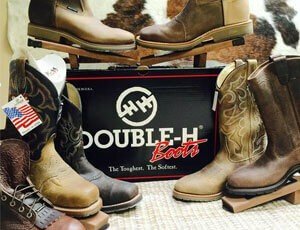 Mobile Shoe Hospital Work and Western Boot Store is your one stop shop for sales and repair of boots and leather accessories. 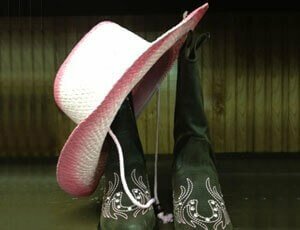 Stop by our store today to view our wide selection of men’s, women’s and children’s western boots and accessories! Mobile Shoe Hospital Work and Western Boot Store carries work and western boots and accessories for both the traditional cowboy as well as the urban cowboy. At our store, we have something suitable for all tastes and budgets. Our professional team has more than 50 years of industry experience and can also repair a variety of leather goods including boots, shoes, purses, belts, and luggage. Looking for reliable shoe repair services? Our team of experts is ready to help repair any kind of leather goods. 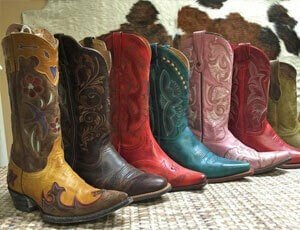 If you are looking for high quality work and western boots from name brands, visit our store today. We will help you find exactly what you’re looking for. Don’t want to take our word for it? Browse our gallery of high quality work and western boots to see what we have to offer. Want to come in and see our inventory for yourself? Visit us today to start browsing for the quality boots and leather goods you need. Just got my 4th pair of boots today! That doesn't include the boots I buy for my kids!!! Love this place & the people! Customer service is off the chain!!!! Can't wait to pick out my next pair!!! Just got my 4th pair of boots today! That doesn't include the boots I buy for my kids!!! Love this place & the people! Customer service is off the chain!!!! Can't wait to pick out my next pair!!! © 2019, Mobile Shoe Hospital Work and Western Boot Store. All Rights Reserved.